(Seychelles News Agency) - The Seychelles Fisheries Authority (SFA) is working on regulations that will oblige purse seiners to land a percentage of their catch in the island nation, a government official said Tuesday. The decision is being pushed forward as the Indian Ocean Tuna (IOT) canning factory in Seychelles faces challenges in obtaining yellowfin tuna from vessels operating under licenses and agreements given by the island nation. “IOT recently made a statement that they will be letting go of 300 staff who work on the yellowfin line and this has to do with a lack of yellowfin being sold to the factory,” said Jude Talma, the principal secretary for fisheries. He explained that it doesn't mean that there is a lack of yellowfin tuna. “The problem is that yellowfin is being transshipped to other countries. Eighty percent of fish being transacted in the Port Victoria is being transshipped with only 20 percent being made available to IOT,” said Talma. Earlier this month, the general manager of IOT, Nichol Elizabeth, had said that if this trend continues an estimated 300 “potential casualties” working on its two production lines may be cut from the factory’s payroll by the beginning of July. Elizabeth said the situation is worrisome because, since the beginning of 2018, IOT has been struggling to operate due to a much-reduced supply of yellowfin tuna to its facility. Talma added that IOT is currently outsourcing yellowfin tuna from the Pacific Ocean so as to be able to process these fish and not lay off any staff working on the line. In 2016, the Indian Ocean Tuna Commission (IOTC) reduced fishing allowances of the yellowfin tuna by 15 percent beginning in 2017. As a result, this year the fleet of 13 Seychelles-flagged purse seiners were allocated a total quota of 33,000 tonnes of yellowfin tuna that they can fish. Each vessel received a quota of around 2,500 tons, within which 30 percent (around 750 tonnes) is allocated every quarter of the year. Disrespecting the set quota will result in fines up to around $445,000. As a Seychelles-flagged vessel, the purse seiner “should have certain responsibilities towards the country,” said Talma. “They should land a certain percentage of their catch to local companies, especially IOT, which processes yellowfin. Right now it isn't an obligation but we want to make it an obligation through changes made to the conditions within licenses,” said Talma. He explained that in the 1990s this was a condition under an agreement signed with vessels but somewhere along the line it was removed. “Now we want to reintroduce this clause. The new regulation that is being worked on will help us when putting together agreements, as they will be in line with our national law,” said Talma. These regulations are being put in place not only for yellowfin tuna but for bycatch as well. Canned tuna export contribute largely to the fisheries sector, the second top contributor to the economy of Seychelles, an archipelago in the western Indian Ocean. 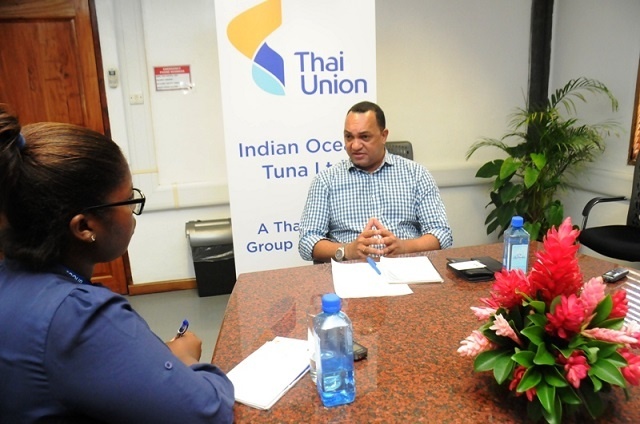 He said that as a ministry, it is officials' responsibility to ensure that IOT is not negatively impacted by the yellowfin quota as well as other quotas that will be introduced in future. “We need to be more proactive to see how we can mitigate the negative impacts of future quota allocations,” added Talma.